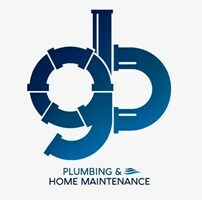 GB Plumbing and Home Maintenance - Central Heating Engineer based in Sutton Coldfield, West Midlands. Hi there, I'm Gary from GB Plumbing and Home Maintenance. I am a local gas enginner / plumber based in Sutton Coldfield and my aim is to provide a reliable, time critical and friendly service whilst also being cost effective. vented/unvented and all plumbing requirements. From a leaky tap to a full bathroom installation, I'm always happy to help and talk through any questions regarding the necessary work.